We can't thank you enough. Please choose your referral bonus. 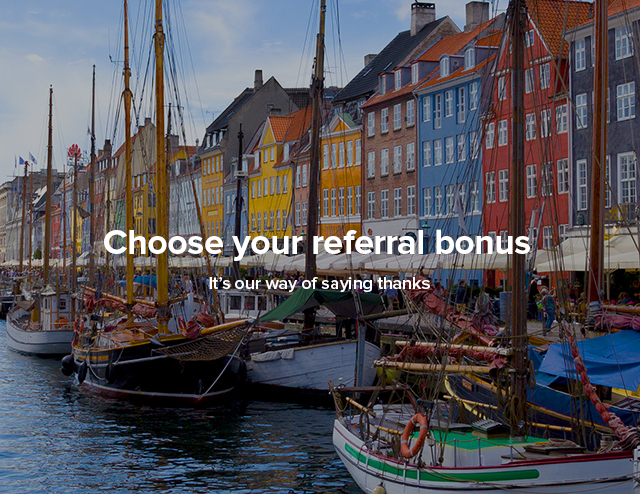 Please confirm your choice of referral bonus by selecting it on the right. That's enough points for a Kindle Paperwhite. Or keep building your points for even bigger gifts and travel rewards. It pays to share your love of travel. Questions? Please call Global Rewards at 1-800-782-2076 or email us at rewards@ef.com. Thanks again for sharing your love of travel. If you have any questions, feel free to call Global Rewards at at 800-782-2076 or email rewards@ef.com. *Please note that the cash bonus is taxable and we must have your Social Security number on file. Copyright ©@@CurrentYear EF Explore America, Inc.